Come and enjoy a new kind of gaming experience! 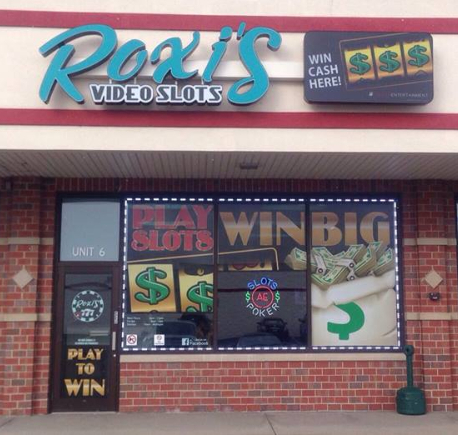 No more cramped elbow to elbow gaming, Roxi's offer a spacious, warm and inviting atmosphere. 1200 sq ft available for Social Functions, Special Events and Parties. Check us out on Facebook for our monthly events such as Karaoke Night with DJ Pete, Paint and Wine Parties with Artist William Roberts. Come in for a free entry to win $25 Free Slot Play and your picture on our FB page. We draw a new name every Friday @ 7pm. Winner need not be present.